Congratulations on reaching one of the country’s most renowned mystery shopping service companies. Reality Based Group (RBG) is not only the first choice of many of America’s most well known companies to help them attain and retain loyal customers, a large portion of our clients are also smaller companies who have been able to grow based on the information and insight RBG has helped them gain. Because of our long standing relationship with our clients, we have some of the best secret shopping opportunities in the industry. We also pride ourselves in having the most objective, professional and dependable staff of secret shoppers found anywhere. Back in 1992 in Austin, Texas, Joe Woskow had a unique idea for improving customer service. He founded GameFilm, the first video mystery shopping company in the world. His service allowed clients to secretly film service interactions to assess the quality of interactions and determine if company protocols were being followed. Over the years, as video mystery shopping gained popularity across the world, GameFilm evolved to become a full-service mystery shopping company that uses a combination of in-person, video and telephone evaluations to help companies be competitive and maintain high standards of customer service. You won’t find a more diverse client base than RBG’s. We represent almost every possible type of retailer, restaurant, banking institution, property management, and service provider, so you can shop familiar names or expand your horizons by evaluating service at places you’ve never before patronized. Our retail client base includes department stores, home improvement centers, home furnishing specialists, gift and specialty stores, bookstores, electronics shops, new and used car dealerships, grocery and liquor stores, non-profit thrift shops, and bicycle and motorcycle stores. If service industries are your passion, you can evaluate valet and self-serve parking services, banks, hotels, gyms and hair salons. Love to eat and drink? RBG has something for secret shoppers with a variety of tastes, so you can secret shop for breakfast, lunch and dinner at taco purveyors, pizza, chili and burger joints, casual and high-end dining venues, sports bars, steakhouses, theme restaurants, and family game centers. Secret shoppers who enjoy touring places to live can sign up for apartment shops or pose as new home buyers for real estate companies. Your shops may take you to new and exciting areas of your community you’ve never before visited or require you to visit your local airport (or one on your vacation itinerary!) to evaluate retailers and eateries that serve travelers. We also evaluate service at many health and pet care providers and will be expanding our client base even further in those industries. The keys to success as a secret shopper are keen observation, objectivity, and good writing skills. You’ll often be required to notice details you’ve never before observed to answer report questions. When analyzing employee performance, your comments have to be objective and free of personal opinions. Many times you’ll need to discreetly take notes on your smart phone or a small tablet or use a stopwatch to time speed of service, so a bit of sleuthing and covert activity is required. When shops are complete, detailed reports are composed and submitted online within 24 hours. These reports need to be concise and written using proper grammar, syntax, spelling and punctuation to be accepted by RBG and maintain your status as an active shopper. 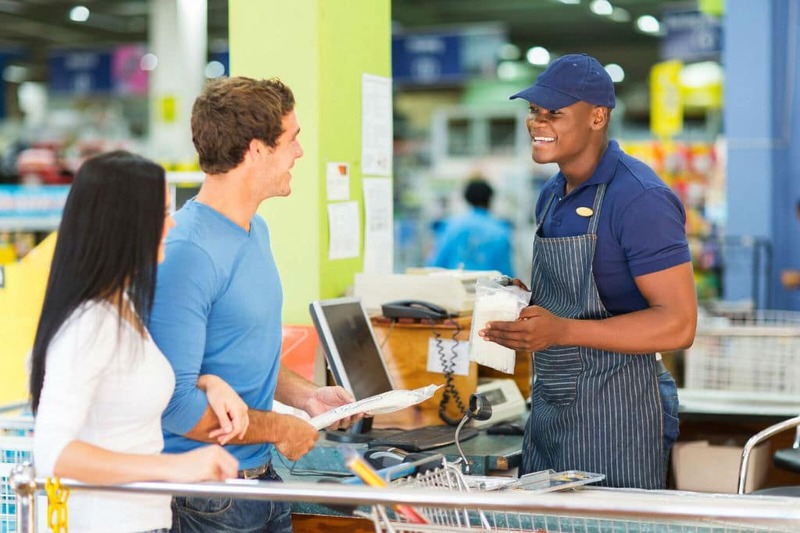 Why is RBG the Best Mystery Shopping Company to work with? Whether you’re an experienced or novice mystery shopper, you’re bound to have questions from time to time. RBG’s staff is always available to help clarify report instructions, advise on closed or inaccessible shops, or try to reschedule shops that can’t be completed on time due to personal emergencies. You’ll also never have payment problems with RBG. All shoppers are paid monthly on a set schedule via PayPal or direct deposit – no waiting for a check in the mail. Furthermore, you set your own hours. You can do one shop one month and 10 the next month or let RBG know you won’t be available while you’re on vacation. How often you shop is totally at your discretion. Signing up as an RBG secret shopper couldn’t be easier. Just visit our Become a Shopper page and click on the New Shopper Sign Up Button. A form will come up asking for your contact information as well as your work experience, areas of interest and expertise, and desired payment method. You will also need to answer some qualification questions to determine if you meet the requirements to secret shop for RBG. Once your application is approved, you could be signing up for secret shopping opportunities and starting to earn money in just a few days. As our name implies, we are dedicated to providing our clients with information based totally on the reality of how their businesses are operating and serving customers. Without solid focus and understanding of what needs improvement, problems are impossible to solve. We hope you’ll join our team and take as much pride as we do in helping businesses thrive and keeping customers satisfied through ongoing analysis and implementation of changes for the better. # of secret shoppers: 280,000+ and growing! Our clients include some of the largest brands in the world. Get Paid to Mystery Shop - Click Here!